Dozens of the world’s leading companies in different fields of energy will take part in Iran’s International Renewable Energies Conference. According to a report by IFP, the International Renewable Energies Conference will be held on December 6-8 with the support of Iranian Vice-Presidency for Science and Technology. More than 70 European and Asian reputable firms in the fields of wind, solar, geothermal and biomass energies will partake in this conference. These companies are from such countries as Germany, Denmark, England, France, Italy, Spain, Austria, China, and Norway. Given the presence of such leading firms as Vestas, nVision, Huawei, Goldwind, Lahmayer, Turboden and FaroWind, as well as reputable global investment companies, this conference will use the opportunity to show Iran’s domestic capacities to foreign firms and investors. The main purposes of the International Renewable Energies Conference include the localisation of renewable equipment, the development of technology and innovation in international communications, seizing the opportunity to exhibit domestic knowledge-based companies to global pioneers in the field of renewable energies, and awareness of renewable energies’ technologies and marketing. Considering Iran’s interest in enhancing international relationships, among other objectives of this conference are attracting global support in the development of renewable energies by inviting international organisations, and predicting the economic, political and commercial future of this field. 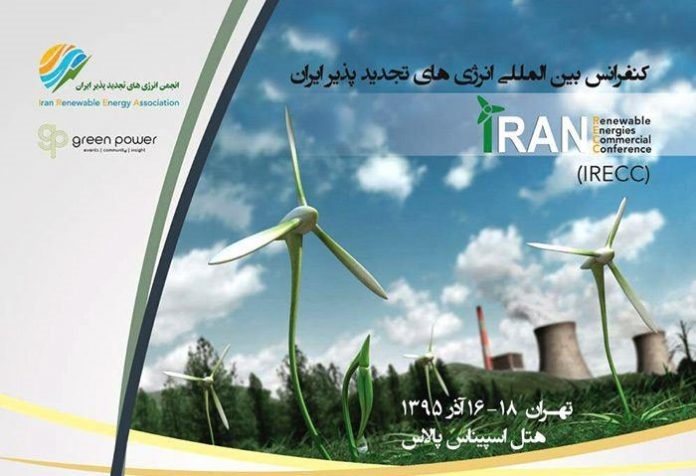 The International Renewable Energies Conference is to be held in Espinas Palace hotel of Tehran with the presence of domestic and foreign knowledge-based firms.